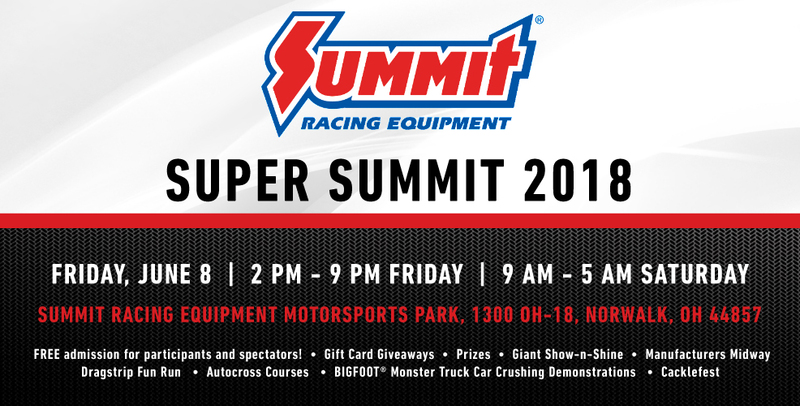 The Summit Racing Equipment Super Summit is taking place this weekend, June 8 and 9, at the Summit Racing Equipment Motorsports Park in Norwalk, Ohio! Hours are 2-9 pm on Friday, June 9, and 9 am-5 pm on Saturday, June 9. Admission is free for participants and spectators. You don’t want to miss this awesome event!